Focus and spark your mind for brilliant cognitive function. Health food for your brain to inspire clarity, creativity and mood. 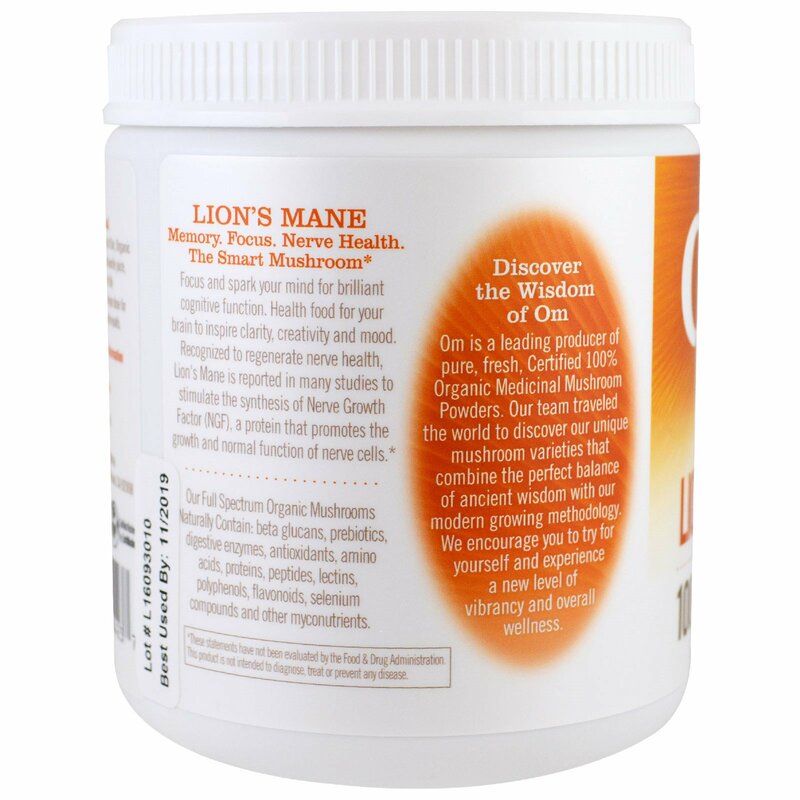 Recognized to regenerate nerve health, Lion's Mane is reported in many studies to stimulate the synthesis of Nerve Growth Factor (NGF), a protein that promotes the growth and normal function of nerve cells. 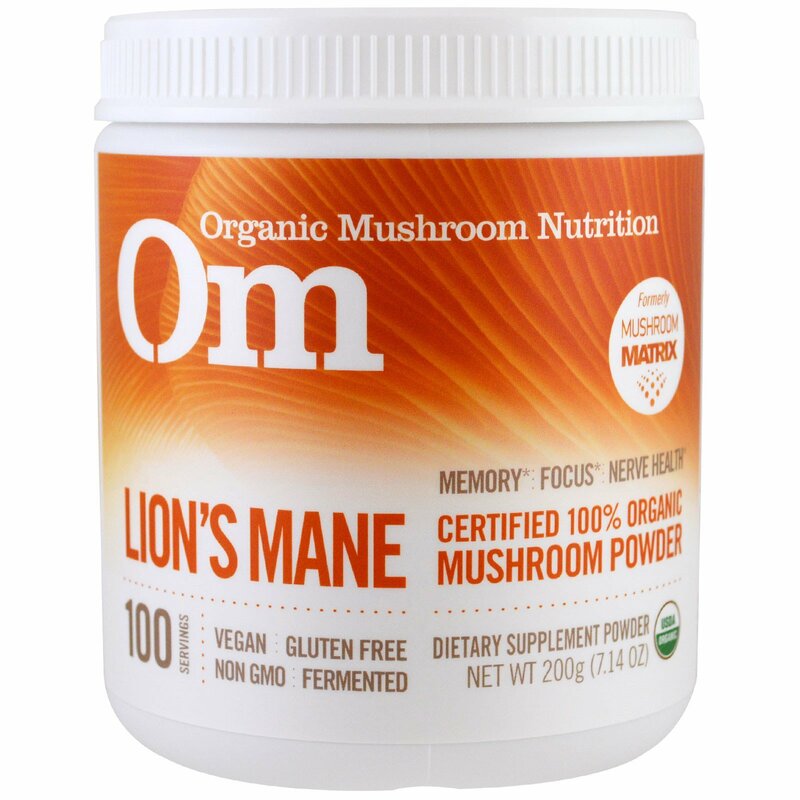 Our Full Spectrum Organic Mushrooms Naturally Contains: beta glucans, prebiotics, digestive enzymes, antioxidants, amino acids, proteins, peptides, lectins, polyphenols, flavonoids, selenium compounds and other myconutrients. Add one teaspoon (2 grams) of Om, Organic Mushroom Nutrition to your favorite juice, smoothie or recipe every day! 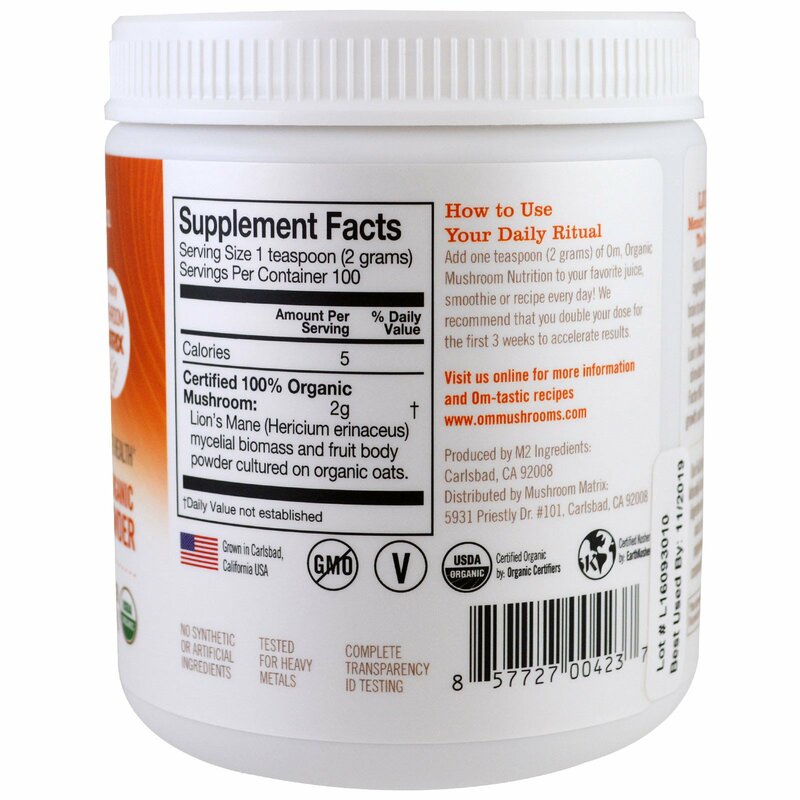 We recommend that you double your dose for the first 3 weeks to accelerate results. powder cultured on organic oats.